Chandler Air Force Station (1951-1969) - A Cold War U.S. Air Force Radar Station established during the Korean War. Located near Chandler in Murray County, Minnesota. Initially assigned a Permanent ID of P-18, and later a Sage ID of Z-18. Closed in 1969. Established in 1951, became operational in June 1952 and was manned by the 787th AC&W Squadron. Originally designated as Moulton Radar Station (probably for Moulton Township, the part of Murray County where it is located), it was renamed Chandler Air Force Station on 1 Dec 1953. Initial equipment included the FPS-3 search radar and one FPS-4 height-finder radar. By 1959 the FPS-3 had been replaced by a FPS-20 search radar and the FPS-4 was replaced by a FPS-6 height-finder. In 1961 the FPS-20 radar was upgraded to become a FPS-64 and a second height-finder radar FPS-26 was added. This configuration (a SAGE qualified long range search radar and two SAGE qualified height-finders) met the requirements for transition to SAGE System operation. The site began operation as a SAGE site in March 1961 initially feeding the Grand Forks SAGE Direction Center DC-11. On 1 Apr 1961 the squadron designation was changed from the 787th AC&W Squadron to 787th Radar Squadron (SAGE) indicating the new SAGE System role. 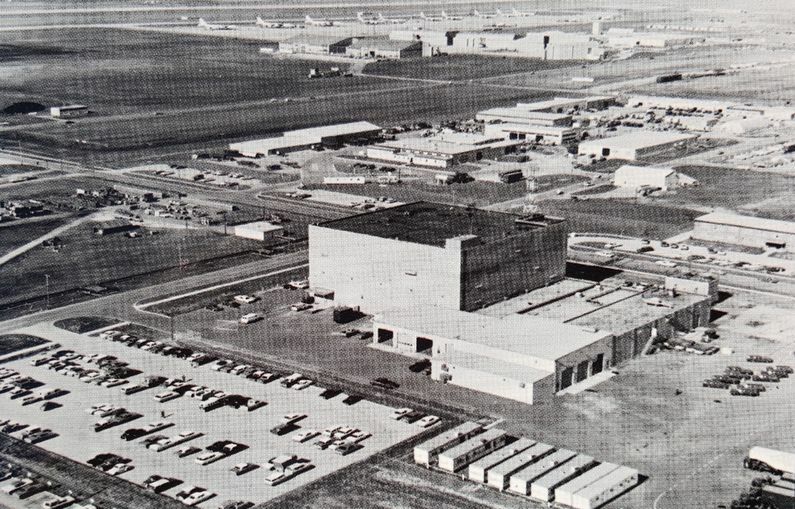 When the Grand Forks Direction Center closed in 1963, control of Chandler AFS switched to the Sioux City SAGE Direction Center DC-22 until Sioux City closed down in 1968. Control was then shifted to Duluth SAGE Direction Center DC-10 until Chandler AFS closed in 1969. The search radar was upgraded to an FPS-27 and the FPS-64 was inactivated by 1965. Chandler AFS and the 787th were deactivated on 30 Sep 1969 but operations ceased on 2 Jul 1969. The main site was sold at auction in 1973 for $45,151. The housing area sold was sold separatly for $172,944. In 1993 Murray county demolished the remains of the main site. The homes were all moved from the housing area and that land was returned to farm use. Operated with the search radar for over a year after the Air Force deactivation on 30 Sep 1969. The physical plant of the site was divided into the main site, a cantonment area, a housing area and a radio site. The main site housed the operations buildings, the radar towers, and the backup generators. The cantonment area housed the enlisted barracks, the bachelor officer's quarters, the orderly room, the dining hall, the motor pool and other support buildings. Apart from the main site was a small 21 unit housing area for married personnel. A separate radio site housed the radio equipment for directing aircraft intercepts. Like most early radar stations, Chandler originally had a radio transmitter site and a separate radio receiver site used by local controllers for voice direction of fighter interceptors to their targets. With the SAGE System, the SAGE Direction centers had the primary task of directing intercepts and the local radio sites were reconfigured, usually into a single site that was known as the Ground to Air Transmitter Receiver (GATR) site. The GATR site communicated with the interceptors from either the local site or the SAGE direction center via voice commands and/or a digital data link. 27 Jun 1951 - Activated at Moulton, MN, assigned to 543rd AC&W Gp. 1 Dec 1953 - Site redesignated to Chandler AFS, MN. 1 Jan 1959 - Transferred to 20th AD. 1 Jan 1960 - Transferred to Kansas City ADS. 1 Mar 1961 - Transferred to Grand Forks ADS. 1 Apr 1961 - Redesignated from AC&W Sq to 787th Radar Sq (SAGE). 4 Sep 1963 - Transferred to Sioux City ADS. 1 Apr 1966 - Transferred to 30th AD. 1 Jul 1968 - Reassigned 29th AD. 30 Sep 1969 - Inactivated. Little remains of the main site and the cantonment area. The foundations of the FPS-27 tower and the FPS-26 tower still exist with rubble on top of them. The GATR site used as a commercial radio facility. The housing area is now farmland. Location: Two miles south of Chandler on Hwy 91 in Murray County, Minnesota. Cornett, Lloyd H. & Johnson, Mildred W., A Handbook of Aerospace Defense Organization (1946-1980), Office of History ADC, Peterson AFB, Colorado, 31 Dec 1980, 179 pages, Pdf, page 169. Winkler, David F., Searching the Skies: the Legacy of the United States Cold War Defense Radar Program, USAF Hq Air Combat Command, 1997, 192 pages, Pdf, page 126. This page was last modified 20:25, 7 January 2019 by John Stanton. Based on work by Bill Thayer.